Filipino boxer Giemel Magramo is set to face the former Olympian Mikhail Aloyan of Russia on December 9, 2017. Magramo is a 23 years old hard hitting Filipino boxer with a record of 19 wins including 15 big victories by way of KO and has only 1 defeat. This will be the 2nd offshore fight for Magramo, he fought Muhammad Waseem in South Korea last year but lost via unanimous decision. However he cameback with his own 2 victories by way of stoppages this 2017. Meanwhile, Mikhail Aloyan is a 29 years old boxer with a professional record of 2 wins all by way of unanimous decision. He just started his career this year and in just 2 fights he already won the WBC Silver Super Flyweight Title against Marvin Solano last July. Mikhail Aloyan is a 2010 gold medalist in European Championships, bronze medalist in 2012 London Olympics and won also 3 more golds in different world champinoship events. 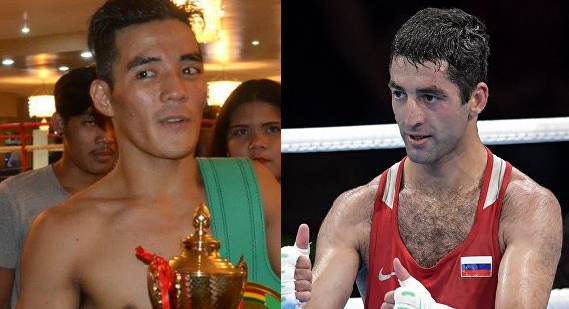 Aloyan will defend his WBC Silver Super Flyweight Title against Magramo in Kemerovo, Russia.